Yeah, times are tough in Detroit. Still, we can't overlook its bargain-hunter's bounty of architectural riches—just one reason we're betting on the city's survival. Although the Motor City's economy is in tatters, the people who live in The Villages, a collection of six historic neighborhoods three miles east of downtown, remain upbeat. "There's a richness in this neighborhood," says resident Kathy Beltaire. "The houses are beautiful and the streets are walkable, but the people here are the best part—they really care." These days, nice-as-can-be multigenerational families who have lived here for decades continue to welcome first-time buyers who appreciate intricate woodwork, front porches, and spacious urban yards. If you can nail down a job in this city's tough economy, your money goes a long way here. The Villages offers more than 17 architectural styles, from Craftsman to Richardsonian Romanesque. 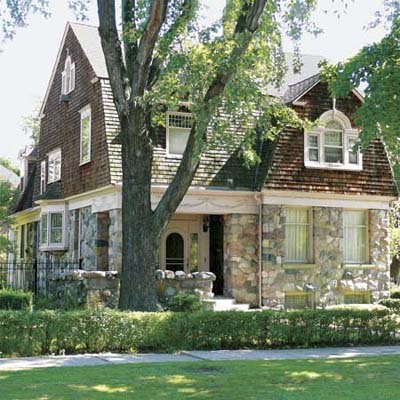 The largest, most elaborate homes are in Indian Village, where prominent Detroit architects Albert Kahn and William Stratton designed grand Georgian Revival and Federal Revival homes for the city's first auto barons in the early 1900s. Smaller cottages and rowhouses can be found in nearby West Village. Whatever your tastes, there are houses to be had in The Villages for less than $100,000. Not only will you get more house for your buck, you may just help fuel a Motor City comeback. That comeback already has a strong human foundation, thanks in part to the commitment of The Villages residents, who continue to mow the lawns and maintain the shrubs of the neighborhood's empty and foreclosed homes, anticipating they'll one day attract future neighbors.